January 23, 2015 by Luis Umpierre Jr. and Luis Umpierre Sr.
Great day today (3/6) @ Bayside Fishing Charters! 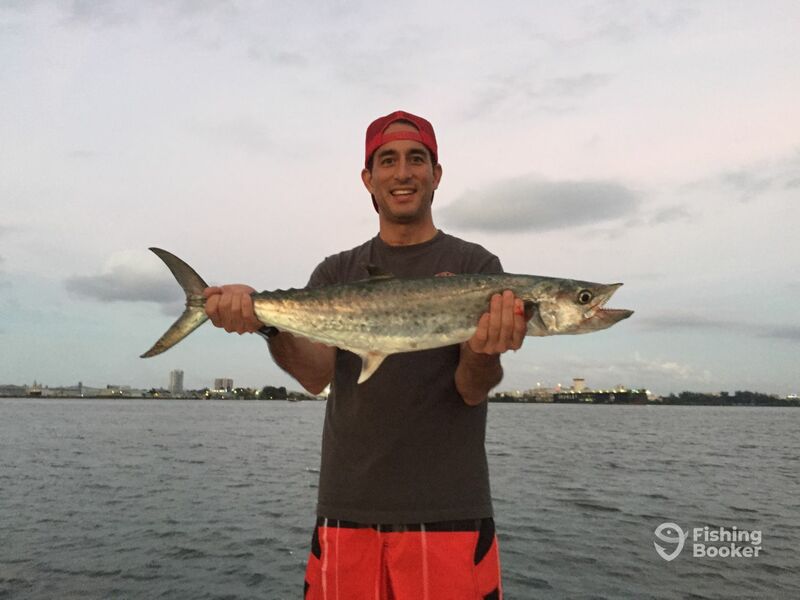 Roy from Hawaii caught his first ever Kingfish and a nice one too and Calvin from Florida landed his 1st ever Tarpon! Congratulations to both for earning new and unforgettable fish stories to share with friends and family. All possible while fishing San Juan Bay Puerto Rico with Bayside Fishing Charters and Captain Luis Burgos. Lots of over 90 degrees rod bending action this afternoon (4 hr.) Although the bait today was not cooperating, we manage to get enough to make it happen. It all started a minute after the first cast. 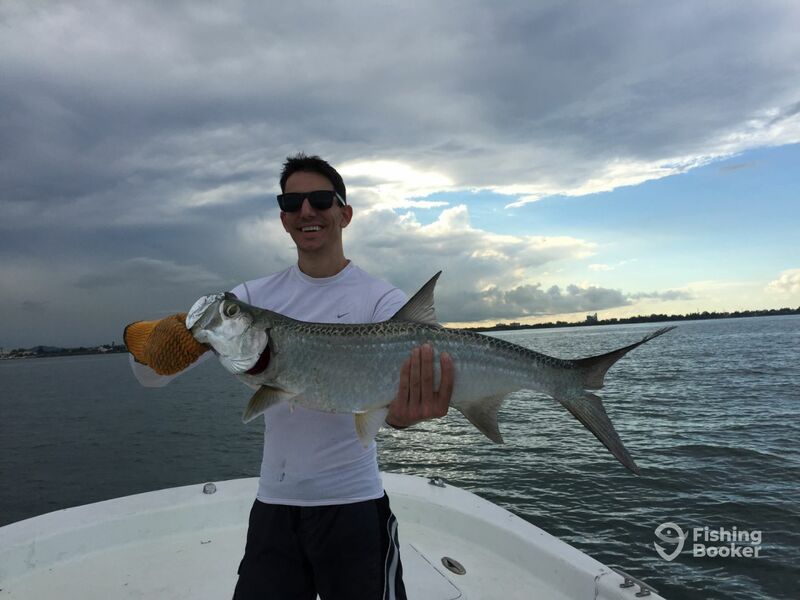 We had the first agressive strike which the fish ended pulling the hook, followed by another one which turned to be a nice Tarpon and landed right at the end of the low tide. Then it slowed down and finally the bite turned on like a light switch, closing the day with two more (Tarpon and the Kingfish). They both crushed the bait on the surface! Amazing sight to see right at the sunset moments. Ones again, congratulations and thank you for choosing us.